Fortune Global has built a pedigree of exceptional performance in Offshore Drilling Rig Moves and in the effective deployment of high-quality lead and assisting tugs to move across ocean areas, meeting all regulatory requirements, including registration & insurance. Our drilling logistics encompasses the movement of all related equipment, including – crating to protect sensitive instruments & high-value parts. Our attention to project detail is evident in our management of site & road surveys, permits, high capacity cranes and specialized trucks, as well as ensuring that everyone involved in each project adheres to globally acceptable HSSE standards. 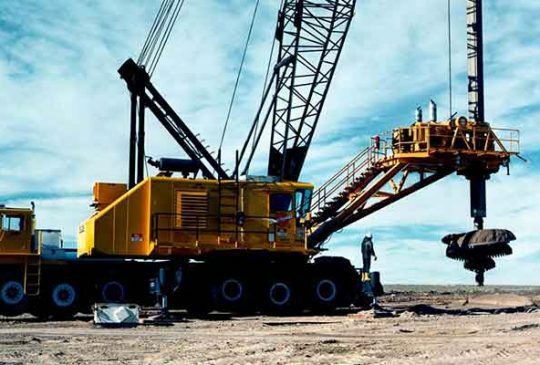 We assess & monitor drivers’ capabilities, reputation, performance, effectiveness, drive time & rest-stops, log book, equipment, permits, insurance & HSSE in the process of moving our Drilling Rigs to project locations.